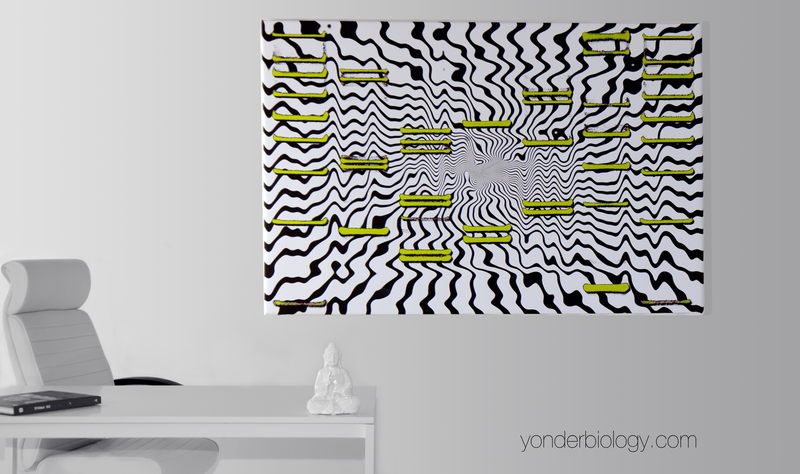 Contemporary Art x Your DNA / Yonder is a group of scientists, artists, and all-around creative people. “Yonder's Niteo Collection is a must-have for anyone wanting a significant, personalized work of art,” said Andy Bass, one of Yonder’s founders. Yonder, The DNA Art Company, today released a new contemporary collection of DNA art called Niteo, meaning 'to glow'. Yonder’s newest artwork unites life and art through the use of DNA and light. San Diego-based Yonder crafts unique works of art from any person’s DNA. Yonder’s Niteo Collection compliments the company’s traditional DNA art offering of canvas, acrylic and aluminum mediums. The DNA code is unique to each individual. Yonder's scientists interpret the DNA code and the group’s artists use the interpretation to create original works of art. Yonder has developed techniques to utilize any person's DNA from a simple cotton cheek swab. 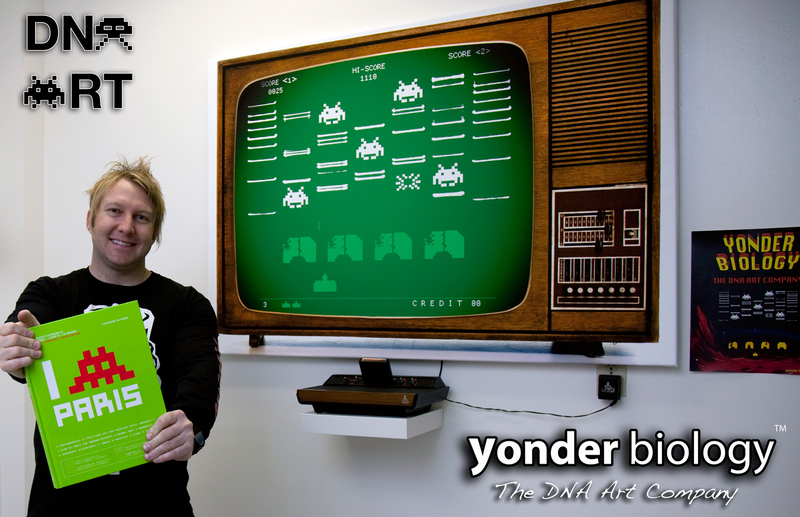 The DNA samples are processed in Yonder’s California laboratory, and original works of art are presented based on each individual's DNA code. Yonder provides a dedicated consultant for every project. 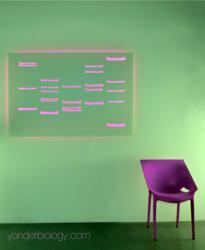 Each customer receives a ‘DNA Art Guide’ that describes the scientific meaning behind their individual art pieces. 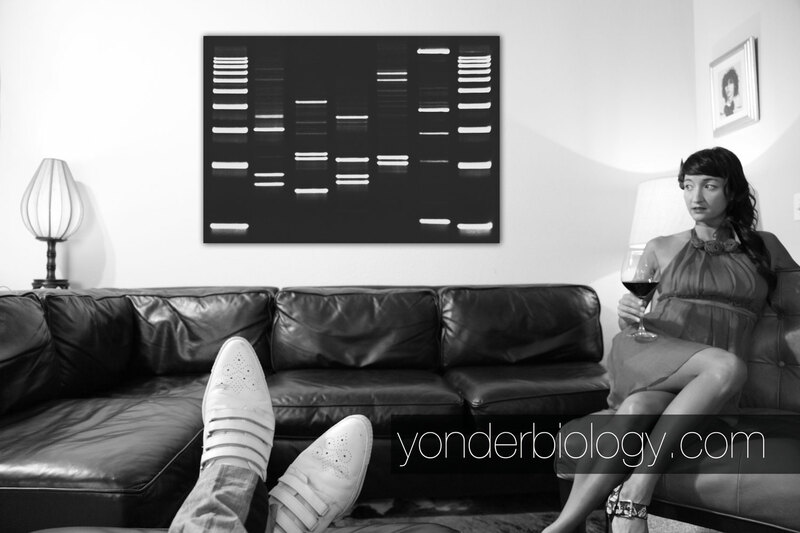 Yonder biology is a DNA art company based in San Diego, California. We are scientists, artists, and all-around creative people. Yonder has developed a process to take any person's DNA via a cheek swab, process the DNA sample in our laboratory, and give an original art piece back that the person can hang on the wall, point to and say "That's Me!" Everyone's DNA is entirely unique and holds the basic code of who we are as individuals. We understand the beauty in this genetic code and want to provide an artistic window for people to share their individuality with others.